The casino held two parties, on Tuesday and Wednesday, to celebrate the official opening of the brand new C2 Casino in Limassol. The C2 Casino in Limassol if the first fully licence casino of Cyprus. It had a soft launch in June but it officialy opened its doors this week and management decided to celebrate by organizing two big parties. The first one was held on Tuesday night was a private one, a cocktail party where only government officials and members of the business community were invited. The second one was held on Wednesday night and was opened to the public. They were given gifts and surprises of all kind like cash prizes, food and drinks. The C2 is the first of five temporary casinos to be launched by Melco on the island of Cyprus. Melco has in plan one big casino that is named the Melco’s City of Dreams Mediterranean. They are building five satellite casinos around the island before their masterpiece is done. Once the City of Dreams will be finished, they will transfer everything from the other satellite casinos inside the City of Dreams. It is scheduled for 2021 and it is expected to cost approximatively $559 million. 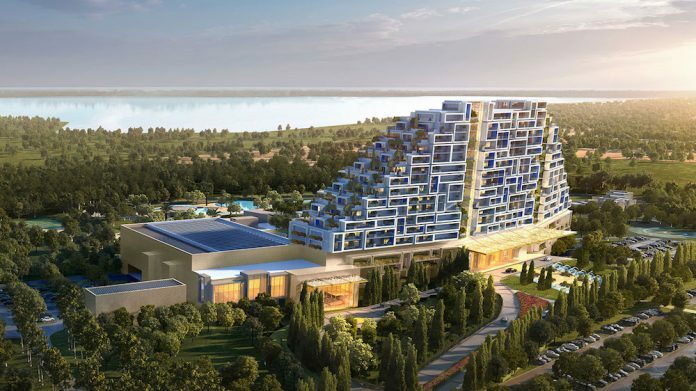 It will have 136 gaming tables, 1,200 gambling machines, a 500-room luxury hotel, a health spa and a concert hall. Resorts World Birmingham : The Biggest Casino in UK Opening it’s Doors !